MOSCOW (Sputnik) - UK government ministers will call on Prime Minister Theresa May during a meeting on Monday to present an alternative to her Chequers proposals on UK's relations with EU after its withdrawal from the bloc, following the recent criticism toward May's plan on the part of fellow EU leaders, local media reported on Saturday. On Wednesday and Thursday, EU heads of state and government gathered for an informal meeting in the Austrian city of Salzburg. During the talks, May presented her Brexit plan to other EU leaders who characterized it as unworkable. The Monday meeting of the UK cabinet was supposed to be focused on the country's migration policy. Instead, it would discuss the situation around the Chequers deal, the Telegraph newspaper reported. 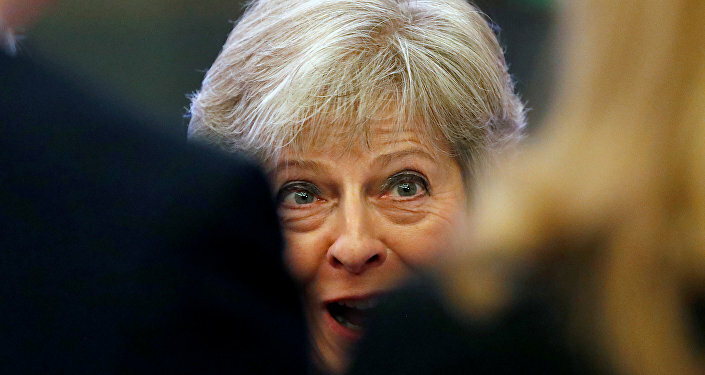 May proposed her Chequers plan in July, prompting disagreements within her Conservative Party ranks and resignations of several cabinet figures, including Brexit Secretary David Davis and Foreign Secretary Boris Johnson in protest against the proposals. 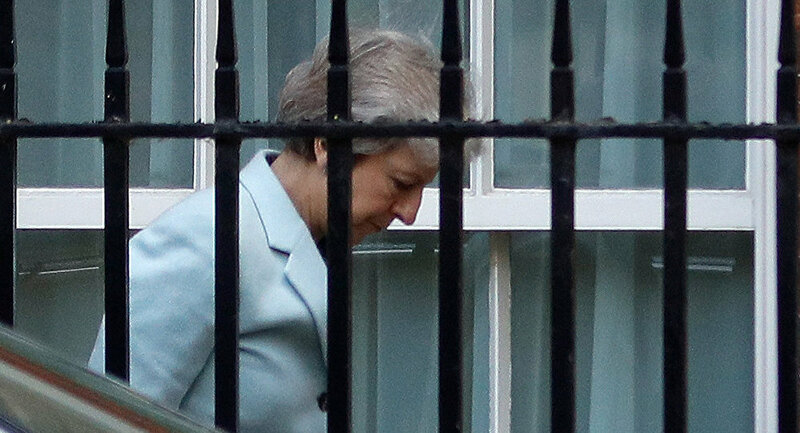 On Monday, May would be given an ultimatum that the "Plan B" Brexit deal be offered or she would face further resignations of the cabinet members, the outlet added. "Monday is the crunch point. That’s when every Cabinet minister will have to look again and reassess like Boris [Johnson] and David Davis did," a source told the Telegraph. May has recently come under fire from politicians both outside and inside the United Kingdom over her way of dealing with faltering UK-EU Brexit talks, particularly her reluctance to reconsider her Chequers proposals. Davis said in an interview with the Huffington Post news outlet on Friday that he and up to 40 other members of the Conservative Party planned to vote down the Chequers plan at the upcoming party conference and in the parliament. Moreover, media reported earlier in September, that the Conservative Party's pro-Brexit European Research Group held a meeting during which a possible vote of no confidence in May was discussed. However, the group clarified subsequently that it wanted May to abandon the Chequers deal.